If you want to walk my path….. The bodies have been taken down. But the events of the past few hours are still fresh in the minds of those who were there. They remember that he spoke to one of them about being in paradise that day with Him. 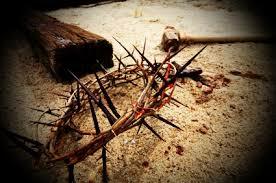 They remember the One who spoke only a few words from his cross and never a complaint. They remember the wind that began to blow, the darkness that covered the whole land at mid day as the ground shook and trembled. They remember the one of whom Pilate said “In him I find no fault”. They remember being part of the crowd shouting ” Give us Barabbas, Crucify Him”. They remember the one who raised Lazarus, the Roman officers servant, and the little girl from the dead. The one who healed the lepers, and set the madman in chains free. Then neither do I. Go and sin no more”. They remember he had compassion for the people, that they were like sheep without a shepherd, no one to help them, no one to rescue them. They remember that he offered those who were helpless, sick, oppressed and poor, life more and better than they could ever imagine. They remember that he never claimed an earthly kingdom or even had a place to lay his head, but spoke of a kingdom where there were many mansions, room for all. “I am the way the truth and the life”. “Father forgive them they do not know what they are doing”. I believe there are two things we must understand about this event, the one that more than any other changed the course of history. One: It was not an accident, a situation gone horribly wrong, a mistake. Through the years the Romans have been held responsible, the religious leaders, and some would even retaliate against the Jewish people for their part in the death of Jesus.And while it is true that those in that time share responsibility focusing only on guilt shows a lack of understanding of God’s plan and purpose. Jesus then begins to explain what is going to happen that He would have to go to Jerusalem. There the elders, chief priests, and scribes would meet Him; He would suffer at their hands; and He would be killed. No, Lord! Never! These things that You are saying—they will never happen to You! Jesus (turning to Peter): Get away from Me, Satan! You are not thinking about God’s story! There are numerous statements by Jesus himself that clearly show his purpose for coming to earth was to die. Caiaphas the high priest unwittingly agrees with this with this statement in addressing the Sanhedrin the judicial council of that day. Those who contributed to the punishment and death of Jesus are not blameless, but we see even in this the heart of God that even in this horrendous act is willing to offer forgiveness and reconciliation. But we do impart God’s mysterious and hidden wisdom. Before the ages began, God graciously decided to use His wisdom for our glory. This wisdom has not been grasped by the ruling powers of this age; if they had understood, they would not have crucified the Lord of Glory. They did not understand that the cross would be the undoing of Satan’s grip on humanity and that the death of Jesus would bring life. We again see the heart of God and his love for his creation through the writing of the apostle Paul. “When the time was right, the Anointed One died for all of us who were far from God, powerless, and weak. Now it is rare to find someone willing to die for an upright person, although it’s possible that someone may give up his life for one who is truly good. 8 But think about this: while we were wasting our lives in sin, God revealed His powerful love to us in a tangible display—the Anointed One died for us. It is a new day hope out of tragedy, life out of death, victory from defeat! There are two enemies left to be defeated, the best is yet to come!